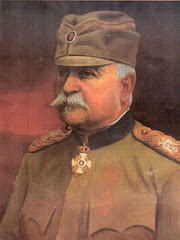 “Why do Serbs celebrate defeat?” comes the question, every June 28. The short and simple answer is, they don’t. But a longer and more complicated answer is needed to explain it properly. 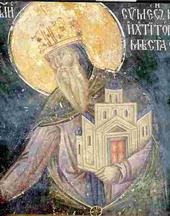 June 28 (or 15th, in the Julian calendar), Vidovdan, is the date on which the Orthodox Christian host of Prince Lazar confronted and battled the Ottoman Turks at the Field of Kosovo in 1389. 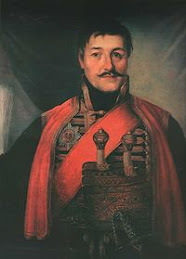 At the end of the day, both Lazar and the Turkish sultan Murat I were dead, and the Turks had left the field. Initial reports, in fact, spoke of a great Christian victory. 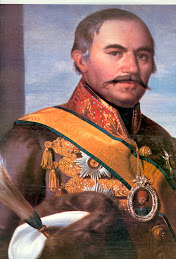 With Catholic Hungary seeking to exploit Serbia’s weakness after the battle, Lazar’s widow and young son agreed to become vassals of the Turks. But in 1402, when Murad’s heir Bayezid I was defeated and captured by Tamerlane, Prince Stefan broke off and received the blessing of the Byzantine Emperor to become a despot (in the Byzantine meaning of the word, i.e. 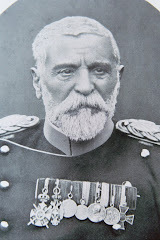 “ruler”) of Serbia. Stefan’s state would last till the actual Turkish conquest in 1459, following the fall of Constantinople. 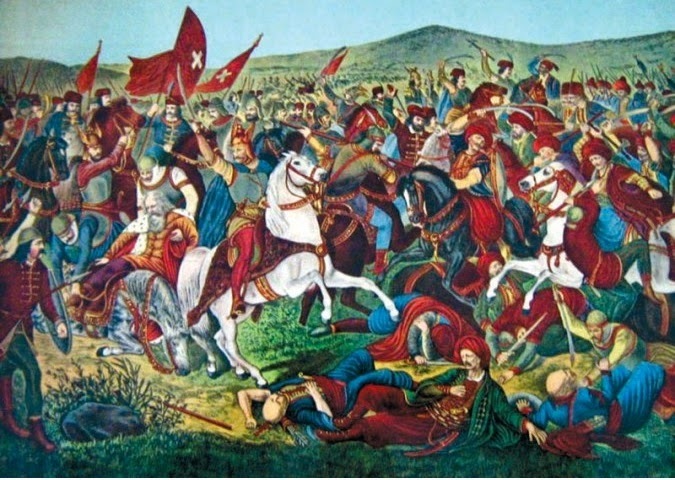 Between Lazar and Tamerlane, the Ottoman conquest of the Balkans had been halted for about six decades. Under the long dark time of the Ottoman yoke (1459-1804), the Serbs kept an oral history through epic poetry, half-recited and half-sung over the mournful wail of the single-string gusle. 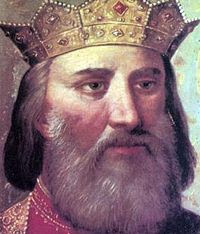 Certain poetic license was taken with history in these songs: thus Lazar, a powerful prince, became a Tsar – even though the Serbs only had one real tsar, Stefan Dušan (“the Mighty”), and his empire had been split by squabbling nobles afterwards. 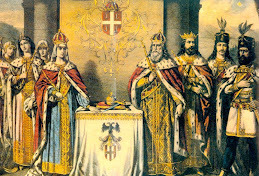 Lazar wasn’t even a king – that title belonged to the two brothers, Vukašin and Uglješa, who perished in 1371 when their host was ambushed by the Turks at Maritza, in present-day Bulgaria. Another bit of poetic license was the reinterpretation of the battle’s outcome. 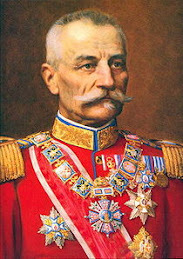 From a Pyrrhic victory of the Serbs, it became a triumph of the Turks – but only because Lazar had made a choice of the Kingdom of Heaven for himself and all the Serbs. When the guslari sang of “Tsar Lazar” choosing the Kingdom of Heaven and setting out to die, they weren’t being literal about it. Lazar did not forsake his family, people and land for some insane dream of personal glory; quite the opposite. 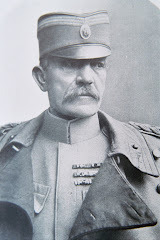 He went to battle against a mighty Turkish host secure in the knowledge that whatever happens, win or lose, his willingness to sacrifice would seal a covenant between the Serbs and God, and thus preserve his people forever. And so it did. 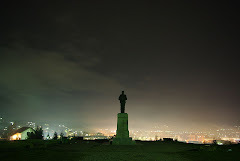 The field of Kosovo thus became hallowed ground, a place where Lazar and his knights defined Serbdom through their sacrifice. 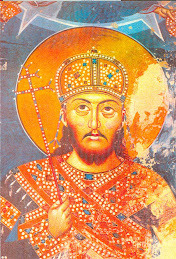 That idea survived all borders, conquerors, oppression and injustice over the centuries, and enabled Serbia’s eventual resurrection. 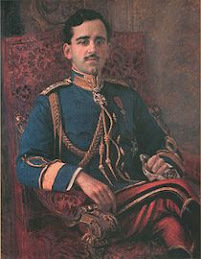 Kosovo was the first and last time a Turkish sultan was killed in battle. It took another 70 years for the Turks to finally conquer the last of Serbia. 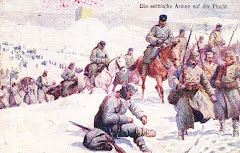 The Serbs continued to revolt, resist and raid the Turkish-held lands from borderlands (Krajina, Grenze) held by Venice, Hungary and Austria, even as their ancient heartlands were depopulated, despoiled and delivered to Turks, their clients, or converts. 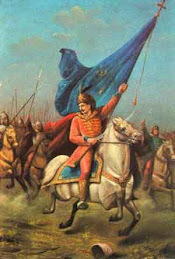 By remembering the poetic Kosovo, they kept their faith as a Christian people, survived the centuries of conquest, and eventually won their freedom again. It was the Serbian Uprising of 1804 that set off a century of struggle that would eventually see all Balkans Christians freed, and the Turks driven out of Europe. None of this would have happened without the gallantry of Lazar and his knights on that day in 1389. So Vidovdan is not a “celebration of defeat”, any more than Good Friday is the “celebration” of the crucifixion of Jesus. 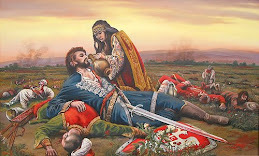 The poetry and folk memory of Kosovo are about the given sacrifice of Lazar and his knights, so that Serbdom would endure and be resurrected, just like in the story of Christ. This is what the Serbs mean by the phrase “Heavenly people”. The 2001 rendition of Slobodan Milošević to the “War crimes tribunal” by the vassal regime in Belgrade. Would they have done so if Vidovdan were a day of defeat? and the glory of them” (Matthew, 4:8). The spurious charge that the Serbs celebrate defeat was concocted by those who either don’t understand Lazar’s choice, or have chosen differently themselves.